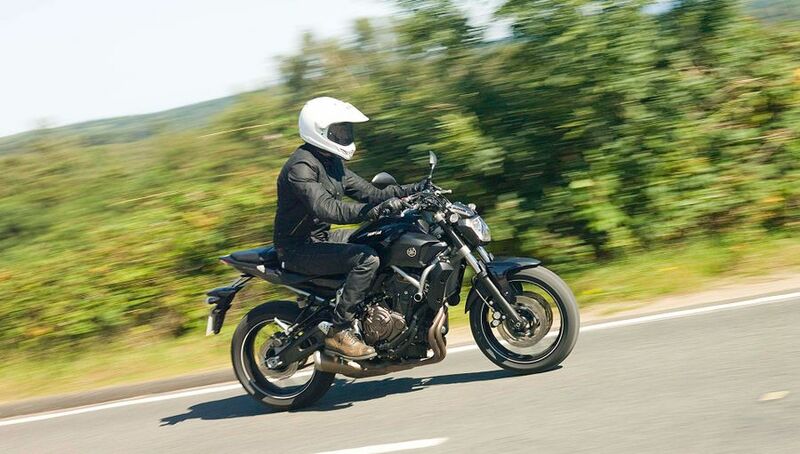 The Yamaha MT-07 is proof that you don’t need big power, rider modes or expensive suspension to have masses of fun. It has given the middleweight naked category a mix of performance, price, quality and usability that puts it head, shoulders and most of its upper body above the competition. The line starts behind us. 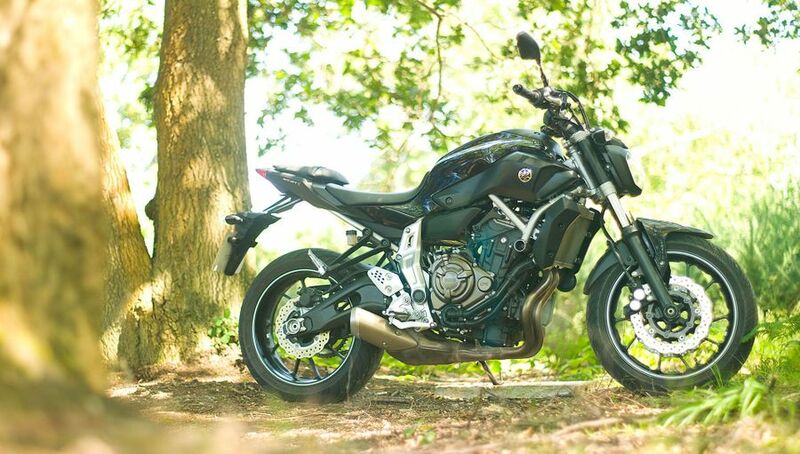 Interested in buying a Yamaha MT-07? 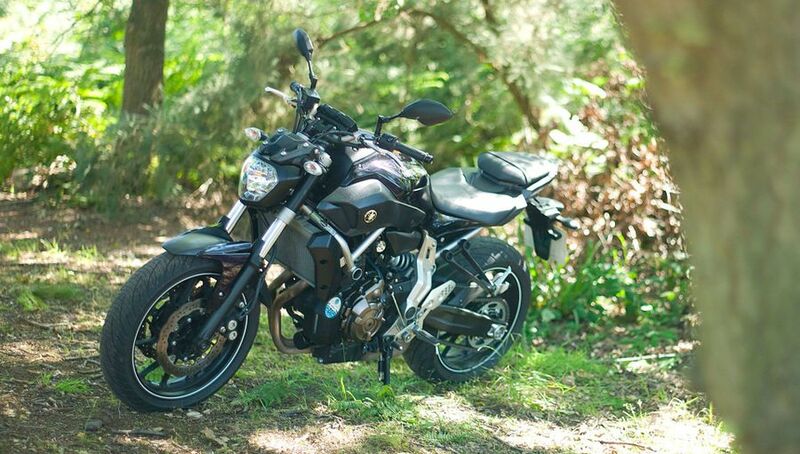 There is an inherent and brilliant simplicity to the Yamaha MT-07. The lack of fairing reveals a mass-forward mechanical layout that is athletic and high quality in both look and feel. 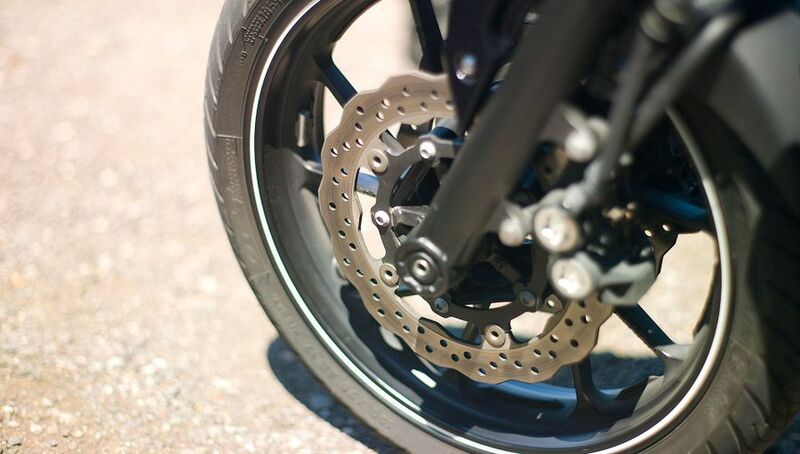 Brakes are taken from the Yamaha FZ8, wavy discs held by ex-Yamaha R1 four-pot callipers up front, while the MT-07 also borrows its large 180-section rear tyre from the larger-capacity MT-09. Only the fake swingarm pivot plates bolted to the frame grate an otherwise honest form. Five colour and frame permutations are available for 2014, including Deep Armor (pictured), Matt Grey, Competition White, Race Bleu and Racing Red. 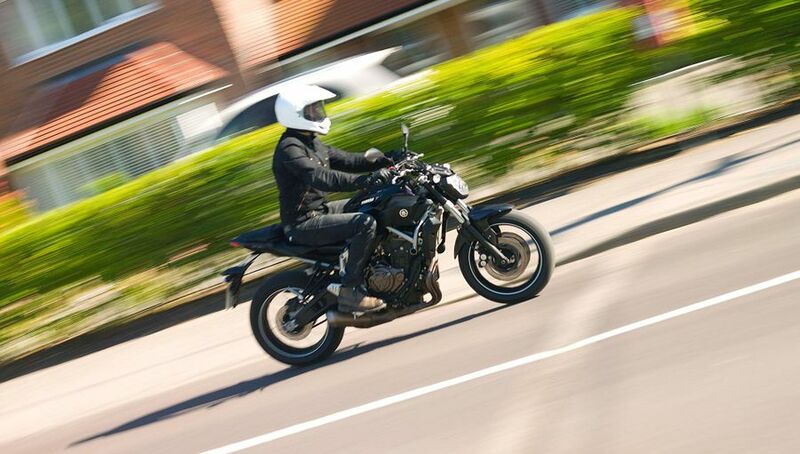 The riding position of the Yamaha MT-07 feels slim, narrow and aggressive yet surprisingly comfortable. The standard seat is roomy and looks harder than it really is, while the 805mm seat height makes it a doddle for all sizes and shapes to manoeuvre, especially when it weighs the same as a bag of crisps (179kg wet, so not quite). However, thanks to a stumpy 1,400mm wheelbase and a sporty steering geometry, pillions may feel they’re perched somewhat. The majority of rider functions are displayed via the large LCD screen that offers a clear, concise and glare-free record of your speed, revs, time, trip, fuel gauge and gear indicator, as well as a largely pointless ‘Eco’ mode. The Yamaha MT-07 has very few stumbling blocks, but the compact 14-litre fuel tank is one of them. Using Yamaha’s official figures, 188 miles should be possible between stops but we’d re-calibrate your expectations to nearer 120 miles, especially when ridden in the manner this bike encourages. There isn’t a traditional helmet lock, but there are textile loops under the pillion seat used for securing luggage (or a helmet), plus there’s a small toolkit and a bit of underseat storage for a wallet or phone. Yamaha also offers an A2 licence friendly kit that restricts the motor to 47bhp and can be installed free of charge. The liquid-cooled 689cc, inline two-cylinder unit isn’t going to win any tunnel run noise contests, or any round of Top Trumps with just 74bhp at 9,000rpm and 50lb/ft of torque at 6,500rpm, but that doesn’t tell the whole story. 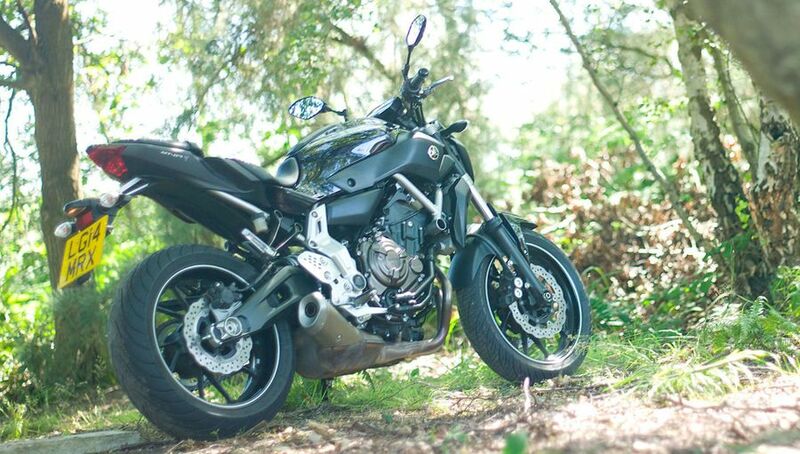 What the Yamaha MT-07 does offer, however, is a smooth, rev-happy engine, predictable throttle response and some wonderfully short gearing that makes it a fun, punchy and pleasurable riding experience, even at modest speeds. 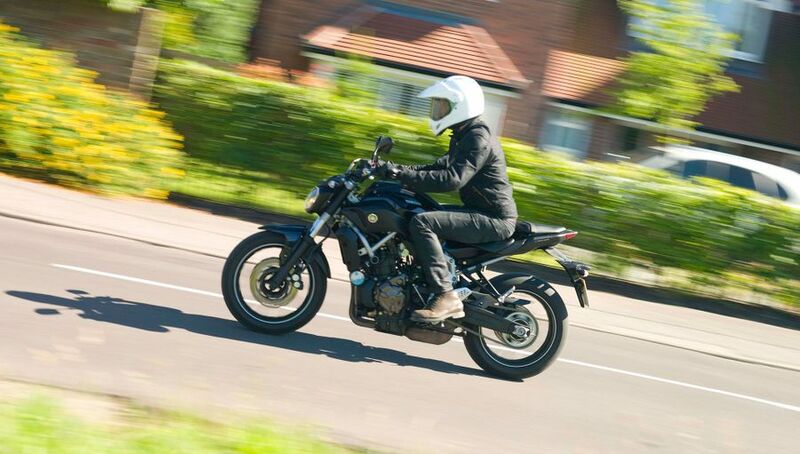 Whether you want to cruise at the motorway limit or hang your front wheel in the air, the MT-07 is happy to oblige. It’s clear to see the stripped back philosophy of the styling has been carried into the riding characteristics: there are no variable rider modes here, nor is there traction control, ride-by-wire or electronic suspension. ABS is optional and adds 3kg of mass but even without, the MT-07 offers strong, predictable stopping power. That compact wheelbase and lightweight make the Yamaha MT-07 feel instantly familiar, plus it’s very easy to flick, roll and change direction all from your hips. There’s great ground clearance and having that fat 180-section rear tyre really boosts your confidence in those bigger, longer sweeping corners. The front non-adjustable forks may be relatively simple units, but the ride quality on most surfaces is very good. The rear shock has nine preload positions, but even the firmest setting gets a bit bouncy at high speed – concessions we’re happy to make for the road-biased nature of this bike. The entry-level price of the MT-07 is low enough to compete with smaller-capacity machines, never mind equivalent powered motorcycles. Combine that with Yamaha’s excellent Personal Contract Purchase (PCP) plan and it’s easy to see why demand is outstripping supply. It'll return around 51mpg, which should be good for a range of around 188 miles. Ride it hard, however, and you could find yourself stopping much more frequently than that. 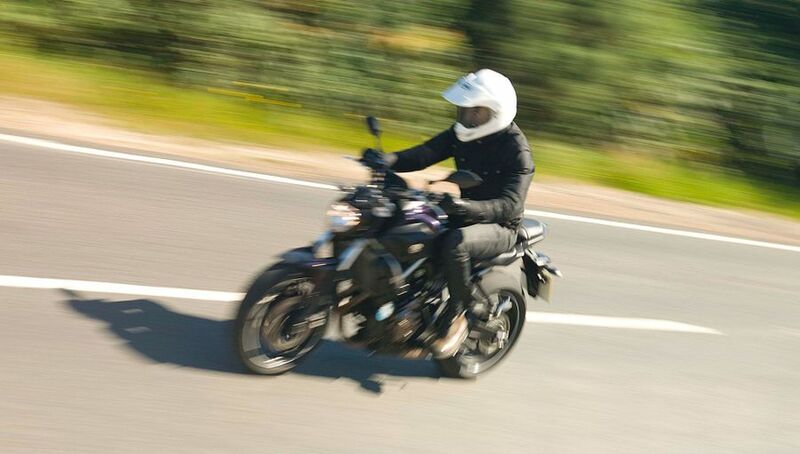 The bike is still too young in its life-cycle to have received any recalls, but the UK network of Yamaha dealers is strong and supportive and all the bits are tried-and-tested, so there shouldn't be any major issues. All models receive a two-year manufacturer warranty and 12 months’ RAC roadside assistance, covering almost every eventuality from running out of fuel, to losing your keys and getting a flat tyre. The first shakedown service at 600-miles is labour free and covers oil, filter change and chain adjustment. All further servicing thereafter runs at 6,000-mile intervals. Yamaha is positioning the ‘MT’ family of motorcycles as a ‘lifestyle’ brand, and as a result, the accessories brochure is positively teaming with optional accessories. Everything from tank bags to sports screens, billet handlebar ends to USB adapters are available. The only option we’d recommend you tick from the offset is the beautiful Akrapovic titanium exhaust. That’s if you don’t want your bike to sound like a vending machine. We know Yamaha can manufacturer exciting bikes for sensible money, but the MT-07 has stepped into another league. New rider or old, if this bike doesn’t get you excited about biking, we’re not sure anything will.